In News.Display of widgets in order of popularity. Get the lates top headlines in sport from the biggest sport source in the world. From football to motor sport, you will get it straight form this sport headline widget. Get the latest on movies, trailers, dvd releases, movie reviews and entertainment news. All from one widget, crab this movie gadget in a click and place it anywhere. This bollywood widget have the latest on bollywood movies, reviews previews, news, star interviews, hindi songs, bollywood gossip and a lot more from bollywood. 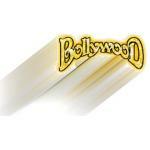 Grab this bollywood widget and place it on your website, blog or social website. See the Nikkei Average, the Dow stock index, and the US dollar and Japanese Yen exchange rate on a single widget. Go to the widget web page to get the code. You can adjust the frame color. The bottom set of settings,from top to bottom, include the color of links, the display of rising values(green being most common), the display of falling values (red being most common), and numbers that haven't changed in either direction. Then press the button labeled ソースコード表示 to get the code. This widget displays the daily purchase rate in Yen for gold and Platinum. Just need to know that gold is 金 and platinum is プラチナ. Code is in middle of widget's web page, on bottom of central large window. Get the latest news & gossip from celebrities, TV, fashion, Movies and music all from one widget. 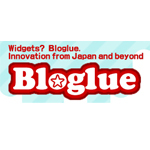 Bloglue : the widget galleria in Japan. Compile a multitude of innovative widgets to support your blog in style. A countdown widget for F1 fans. It displays the countdown till the next Australia Grand Pree in Melbourne and simple facts. A great widget showing the exchange rates of the largest currencies to Yen, plus a Euro/US Dollar exchange rate. However, minimal Japanese is necessary, for example the names of the currencies in Japanese which is mostly in Katakana. If you want a translation of each currency, just send a comment to Bloglue!